Dead End on the NIH Roadmap for Medical Research? Dr. Charles Gordon’s surgical kit lies open. 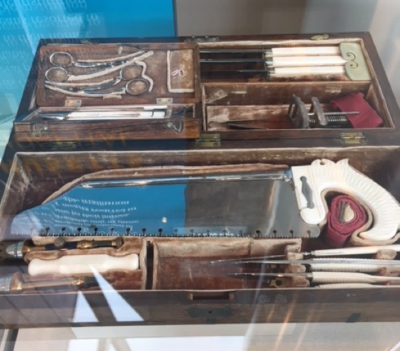 Inside the wooden case are small silver scissors, nine knives with ivory-colored handles, and a matching saw for amputations. Dr. Gordon was born in 1809, and his medical equipment is nearly 200 years old now. I can’t help wondering about the body parts these tools prodded, sliced, and removed before arriving at their quaint museum home. The museum is the Paul S. Russell, MD Museum of Medical History and Innovation, a lesser-known museum in Boston’s expansive curatorial consortium. It chronicles the 200-year history of research and care at Massachusetts General Hospital. The hospital opened in 1811. At the time, New York City and Philadelphia already had hospitals, but the only option for the New Englanders in between was to pay for an expensive house call or else go to the unsanitary, understaffed alms house. 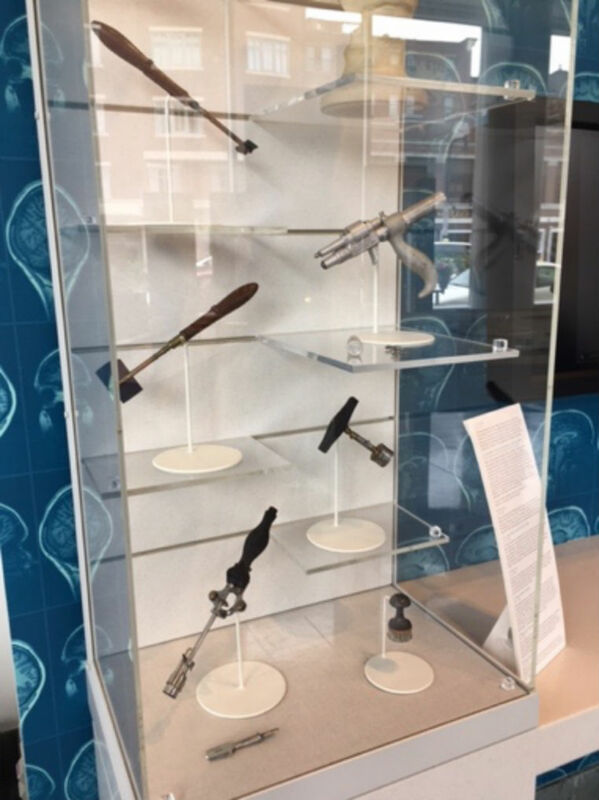 In addition to the hospital’s history, the museum displays panels that demonstrate how the hospital has evolved in terms of diagnosing disease, pain management, military breakthroughs, neuroscience, dentistry and oral surgery, holistic care, and medical education. In the back corner is an Anatomage Table, a futuristic “virtual dissection table” that allows doctors and students to virtually investigate the body’s anatomy. The museum volunteer guided us through a dissection, stripping away virtual layers of skin, tissue, and bone. 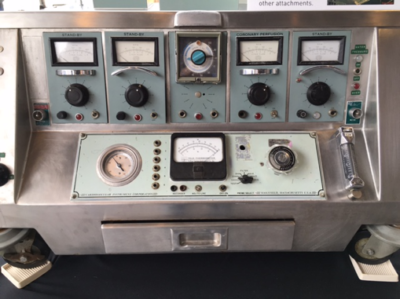 This sleek technology stands in stark contrast to the old-fashioned medical devices that wrap around the museum’s walls. A soft brown surgical cushion that kept needles and thread for stitches in the 1850s. A gold syringe that doctors used to help with bladder stones in 1870. A “bone saw brush” that cleaned away bone dust throughout brain surgery from the 1870s. Part of what makes these instruments so interesting to see is that they’re built from materials like wood and ivory. As the medical community learned about sterilization, these materials were swapped for today’s metals. As I peer at the old tools —cutting-edge devices in their time — I wonder which of today’s conventional tools and procedures will be deemed unsafe and backwards in the future. We’ll have to revisit these glass cases in 2100 to find out.